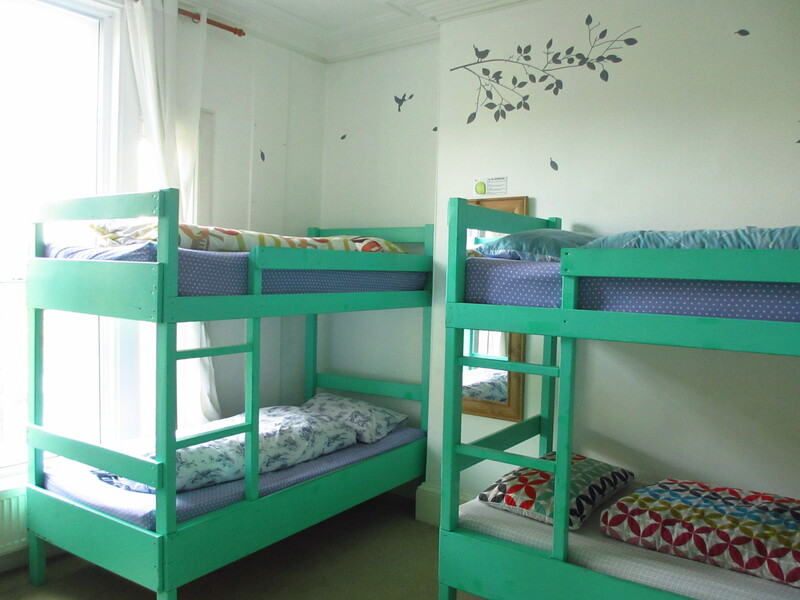 This is the largest room in the hostel situated on the first floor housing three bunk beds with plenty of space for luggage under the beds. There is a lovely view of the cobbled street outside. 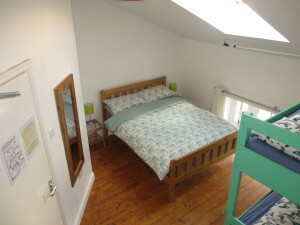 This spacious 6 bed dorm is on the second floor and overlooks the city and the beautiful Tullie House Gardens. This spacious en-suite family room is on the third floor and overlooks the West Walls. Trains traveling from Carlisle heading North can be seen as well as the hills around Caldbeck in the distance. 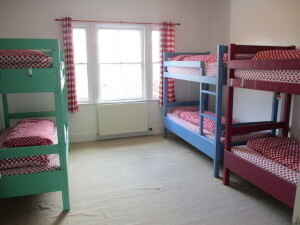 Please note when booking for 4 adults that the room has room has a double bed and bunk bed. It can also be booked as a double or triple room. This private room is on the third floor and overlooks the city and Tullie House Gardens. The large skylight makes this room lovely and bright. Please note when booking for 4 adults that the room has room has a double bed and bunk bed. 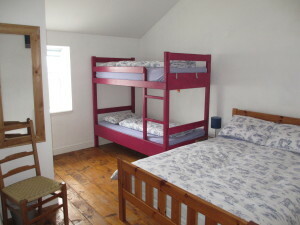 Beds are usually sold individually but the whole hostel can be booked privately for school trips, wedding guests, etc please contact us for further information and rates. Lockers are available for valuables (padlock required). Each room can be locked from the outside and inside. Please note that the Private Room and En-suite Family Room are at the top of the house which is three flights of stairs up.